$80 per month for a high-end smartphone and unlimited data? Sounds good, until you get to the fine print. The original article is presented in full below. It originally published the morning on June 30, 2015. Sprint says it’s simplifying wireless service with a new “All In” plan that includes the cost of a smartphone, but its rules on throttling are making things more complicated. 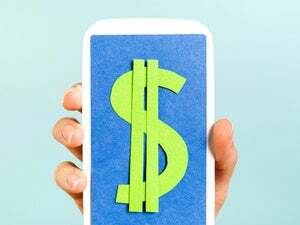 For $80 per month, the plans include a high-end phone like the iPhone 6 (16GB) or Galaxy S6 (32GB), along with unlimited talk, text, and data. While the price you pay hasn’t really changed from Sprint’s older plans—and is actually $10 pricier than the iPhone-only plan Sprint used to offer—it’s supposed to be simpler by building the phone price into the advertised rate. 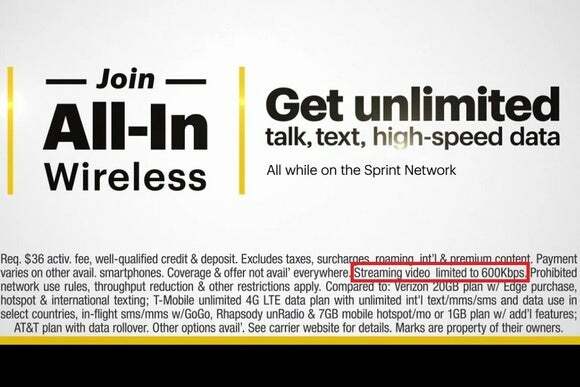 However, the fine print on Sprint’s All In website shows that unlimited data comes at a cost: Streaming video speeds are “limited to 3G,” Sprint says. A note further down the page says that “Streaming video speeds will be limited to 600Kbps at all times, which may impact quality.” For reference, Netflix recommends at least 1500Kbps for streaming video. Why this matters: Sprint has posted these speed limits on other parts of its website before, but recently told Ars Technica that it was making changes to how it handles video, and that those changes weren’t reflected across every Sprint webpage. However, Sprint added that it “may offer—and some customers may choose—plans that include limits on streaming video as part of the rate plan,” with those limits “prominently disclosed.” Given that All In is a brand-new plan, there’s no doubt that Sprint is still enforcing strict video speed limits on those who sign up. Unfortunately, the new approach doesn’t seem like an improvement, as it has Sprint tucking blanket speed restrictions into the fine print, with each plan having its own set of rules. As an example, Sprint’s iPhone and iPad bundle doesn’t mention any 600Kbps video limit, but includes a different caveat: “Other plans may receive prioritized bandwidth availability.” In other words, your reward for giving Sprint more business is second-tier status on the network. The funny thing is that Sprint’s new promotional video for All In kicks off by knocking T-Mobile’s tiered data plans, which enforce throttling instead of overage fees when users hit their monthly limits. Argue the merits of that approach all you want, but at least users know what they’re getting without putting each plan under a microscope.